You can publish your way to financial freedom. It's a story I haven't really told before, but probably should have. I've been publishing books since around 2007, according records on Lulu.com - where I first started. About 18 months ago, I was able to fire my last boss and start doing whatever I wanted to all day - getting paid more than I was needing to spend. The route to this was kind of convoluted, as most journeys are. Back in 2007, Lulu.com was really a pioneer at this. Print-on-demand, and also selling PDF books. It was also the year that Amazon first released it's Kindle Reader. Sony had its own reader since about 1999, but when Amazon, then Barnes and Noble (2008), then Apple in 2010 came out with readers, the whole arena heated up. Lulu got into ebooks in 2009, and by 2010, it was (fairly) simple to create epubs and let Lulu distribute these to iTunes and B&N - both of these had come out with their own self-publishing tools for authors by then. I was still in search of the pattern which would get my books selling and making me a regular income. 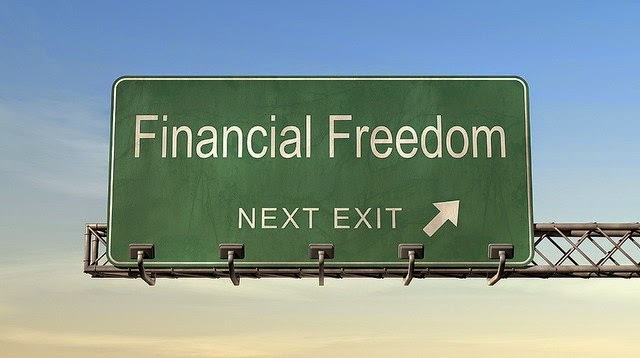 My financial freedom started with paying off debts. I was left with some student debt as well as carry-over credit card bills. Checking with my local credit union found I could get a personal loan to pay that off, keeping the same payments I already had, but only taking 3 years instead of 20. Getting scammed for several thousand (and then worked for over a year to get that refunded) kinda cemented the idea that I needed to not use credit cards after that. My truck was paid off, so I was able to simply live within my means. That still took some discipline, but I eventually got that all in check. By the end of three years, I had no major debt and was no longer taking any on. Passive income is the key. The next trick was getting enough income coming in from passive sources to pay my bills. (I'd been studying Robert Kiyosaki and T. Harv Eker to know that a working job - especially working for someone else - would never make me happy - or rich.) With my debts paid off, I continued my part time jobs while I looked around for businesses I could get into. More and more, I saw that passive income was the way to go. Publish once, sell many times, over and over. Eventually, I was freelancing for about 40 hours a month doing SEO and web design. That left me free to do about anything I wanted, so I researched and tested. This work showed me again how ebooks were selling well for many people. In the fall of 2012, I got fed up with inane work cranking out web pages for people who were clueless about using the Internet for generating leads or income. My own epubs were starting to bring me regular income, enough to get me to notice. So, I took a break from my freelance to just research how to self-publish books, and book publishing as an industry. Building a passive income business. Those three months of research also showed that a lot of bad data about self-publishing was being spread by various get-rich-quick guru's and celebrities. None of these told you how to build a business, just how to vanity publish for free or cheap. That research resulted in a book I published in early 2013, and also another parody - they didn't go anywhere particularly. But I was used to that. The data I had found tended to explain why. I picked out the top 25 or so public domain books and shipped my own versions. Then I rounded up all the PLR I had on my hard-drives and pulled out the ones which already had covers and were in decent shape - this gave me about 80 books which I then shipped through Lulu. I mostly avoided Amazon except for a few small tests. Mainly because they didn't seem to want public domain or PLR books (still true). I got about a dozen books up on Amazon during this. My originals, plus a few test books. Once all these (28 + 80 = 108) books were up on iTunes, Nook, Google, and Kobo - I started getting some regular income from all of them. It took a few months to build. Some books didn't sell, some sold occasionally, some sold regularly. And while I'd returned to my freelance job again, that book income kept building. My freelance boss wasn't all that impressed, and had meanwhile found a young pup who was taking up a lot of my work. Plus, he'd hired another person to take on his one major account - the work I had been doing as well. All this meant that I started to run out of paid work from this area. My bills were still getting paid, plus one of my tests on Amazon became a bestseller once it got enough reviews and regular sales. It had already been selling well on the other distributors, but Amazon's income 6x'ed during this time and became three times all the rest put together. I started having excess income, which gave me savings as well as investment money. Now I really didn't have to work for anyone - and could invest in a few more services and tools to help me write/edit/publish better - as long as I stayed in my budget. Finally, I went in to see my old boss, more as a courtesy. He didn't have any work for me, and any job would have been the same old, same old. His other hires were doing well at what he needed them to do. So he sent me a email a few days later, and it was over. I was free. That was the fall of 2013. In under two years, I'd made my self-published books become an on-going passive income source which enabled me to do whatever I want whenever I want. As long as I stay frugal, that is. Now I just work on getting rich full time. Haven't made it yet, but it's coming along nicely. That's how I got my freedom. It's not a road which I'd tell anyone to follow. But I'm pulling out the key datums I've learned and distilling these into just how anyone could follow a similar road. Lessons and a case history - and my final book in this series on self-publishing and selling books online. I now have well over 200 individual books published in various formats online. My print versions are also beginning to sell regularly and I've got one audio book that sells nicely. Meanwhile, I have a great deal of work to unbury my earliest work and market it properly. By the end of my current list of projects, I'll have somewhere around 350 or so books and can then start to just re-market everything I've rushed out the door in the last couple of years. I expect my income to surge nicely as I do. The next goal is to promote world peace by enabling people to recover their native ability to become rich on their own. Heady, but can be done.